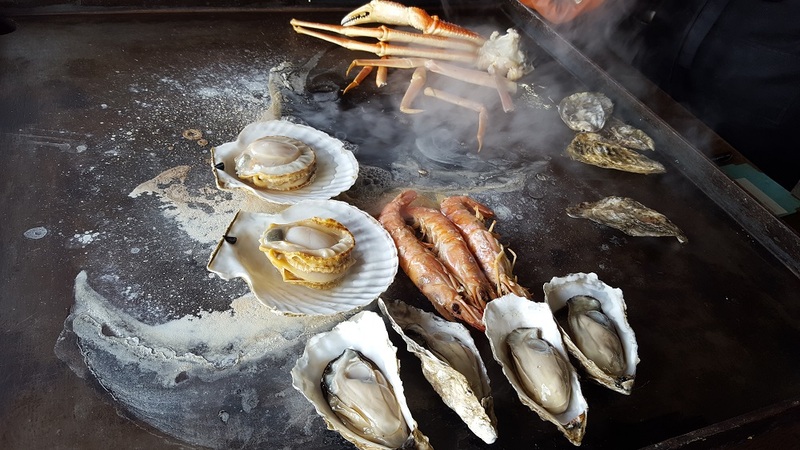 If you are after a short day trip which includes lunch at the best and most well known Oyster/seafood restaurant in the area, you must drive over to Kaki-goya which is about a 10 minute drive south of Iwanai toward Suttsu. The oysters were to die for. We had between 2 of us for about 3,000 JPY 3 very large oysters, 3 large scallops, 3 large prawns and a section of snow crab with 4 legs attached. This was all cooked in front of us on an iron BBQ plate. It was absolutely delicious and a must for visitors to Niseko both summer and winter. Above is just a “taste” of Japanese Cuisine Sato!